Alchemy Stones have become a collaborative effort between my wife and myself, with each of us adding our part of what makes each stone unique. I am the one who walks on the beach and finds the stones. 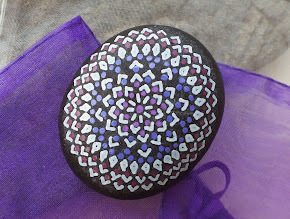 The stones are then washed and I start working out the pattern that will go on each stone. The stones are then painted and dry for about 24 hours. Once the stone is completely dry, it gets a thorough "inspection," during which I decide whether or not it seems "worthy." If the answer is "yes," it is signed and numbered on the bottom, and then protected with a durable coat of clear finish. After all, these stones were meant to be touched and handled, and we don't want the pattern to wear off. In terms of durability, the clear coat is equivalent to a protective layer of marine-grade varnish. 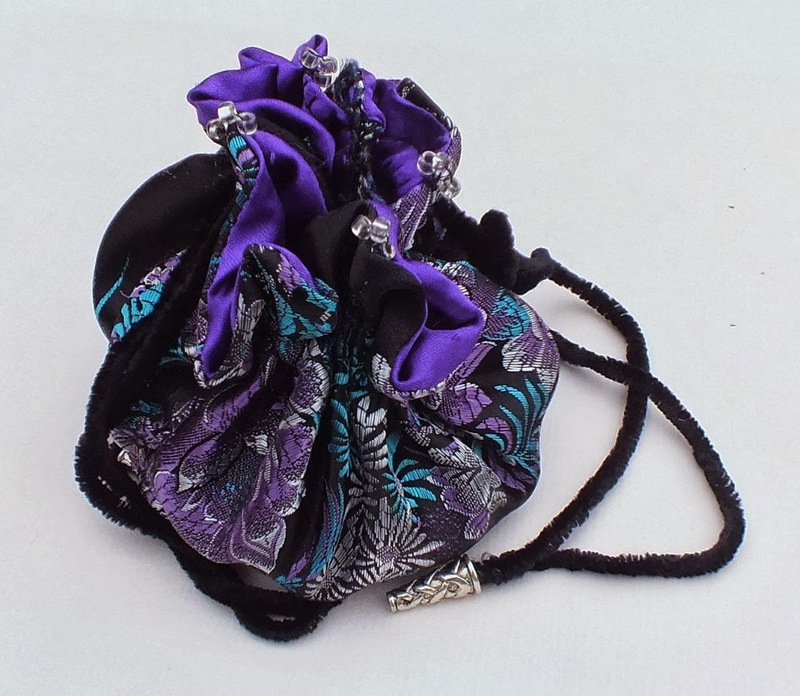 My wife then creates and hand sews an individual silk or satin lined drawstring pouch for each stone. She has many different types of luxurious fabrics and decorations... and each bag is made specifically to "fit" the stone that will go in it. The bags not only offer a place to keep your Alchemy Stone, they are very beautiful, as well. She gets many requests to custom make these bags for other personal objects, but these treasure bags are only available with Alchemy Stones. The site looks great but it does not do justice to the power, magic & beauty of these Alchemy Stones and the beautiful hand made bags they come with. I wish you both much love and success.